We grill all the time when it's warm outside and I love BBQ Chicken but wanted to mix it up a bit and this Bacon Wrapped Honey Dijon Grilled Chicken was a great choice! I loved the sweet and salty combo from the Honey Dijon and Bacon. It was a hit! Sprinkle garlic powder over each chicken breast. Spread about 1.5 tbsp honey dijon over each and then wrap with two pieces bacon. Grill over medium high heat for 6-7 minutes per side or until juices run clear. Serve with additional honey dijon for dipping, if desired. Enjoy! All of my favorite ingredients in one dish. This is a winner! I am going to try this out. I would love it if you joined and contribute your awesome posts at my link party at City of Creative Dreams, starts on Fridays :D Hope to see you there at City of Creative Dreams Link Party. Your Bacon Wrapped Honey Dijon Grilled Chicken looks wonderful! Your place at our table is very special and thanks so much for sharing your wonderful food with all of us at Full Plate Thursday. Hope you have a fantastic week and come back real soon! G'Day from Oz lovely Bridget! 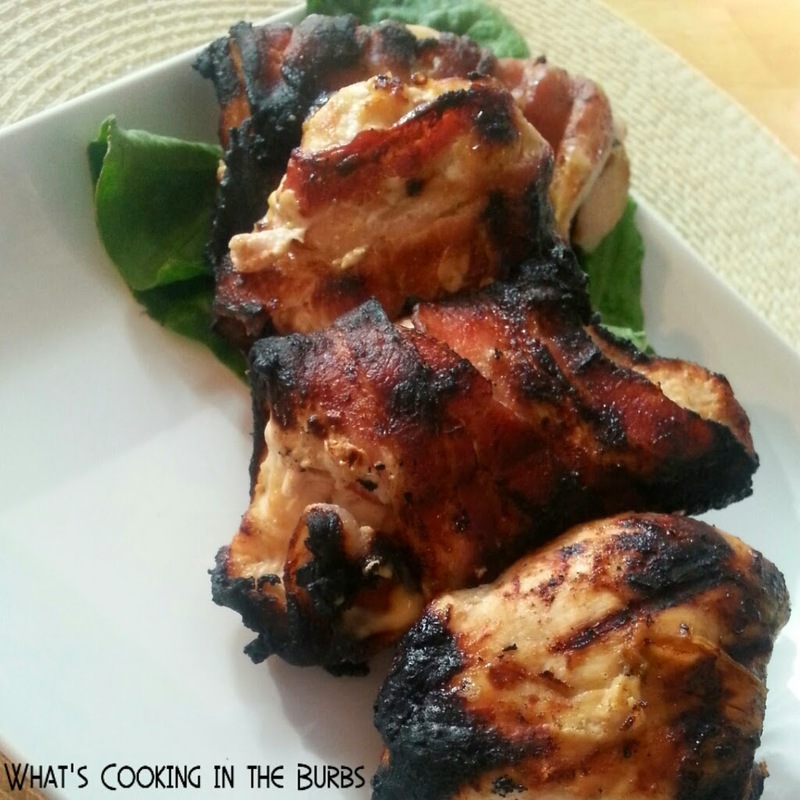 I just pinned your delicious Bacon Wrapped Chicken recipe and shared your post on Google+. Thanks so much for sharing at the Say G'Day Saturday linky party! Love that your recipes are always simple with few ingredients. Thanks for sharing on Merry Monday.